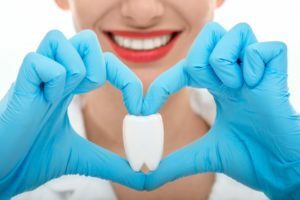 Can Gum Disease Increase My Risk of Heart Disease? Comments Off on Can Gum Disease Increase My Risk of Heart Disease? Taking care of your son or daughter’s teeth can be a real hassle, but it’s completely worth it! The more your kids are exposed to brushing, flossing, and dental visits at an early age, the more likely they will be to continue a good oral healthcare routine as they grow older. Because its National Children’s Dental Health Month, the main goal is to raise awareness about the importance of oral healthcare early on. 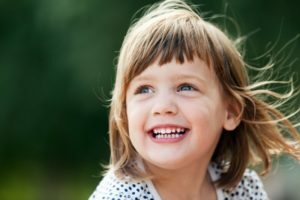 Read on to learn why it’s vital to schedule dental appointments for your kids and take care of their baby teeth from an expert dentist. Cold and flu season can really affect your everyday life. Whether it’s sniffling, coughing, trouble breathing, headaches, and so much more, this time of year can cause annoying ailments. You may have your go-to at-home remedies and medicines, but did you know that these can actually affect your oral health negatively? 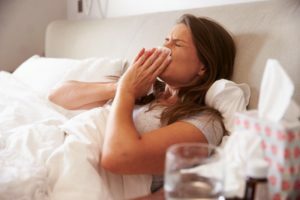 Thankfully, your dentist has some simple cold and flu season tips you can use to make it through your sickness while taking care of your teeth! Holiday season is here! Have you tried your favorite seasonal coffee, pie, cookies, or other sweet treats? This time of year brings a constant flow of sugary goodies that can damage your pearly whites. However, there are ways you can enjoy your favorite treats and still take care of your teeth! Keep reading to discover some tips on how to keep your teeth healthy and beautiful during this season of sugar with your holiday dentist. Halloween is right around the corner. The festive night is full of vibrant decorations, creative costumes, and sweet treats. As you take your child around trick-or-treating, the last thing on anyone’s mind is their teeth and gums. While you may think one night of overindulging is not a concern, if you are not careful, it could lead to unexpected news from your dentist. 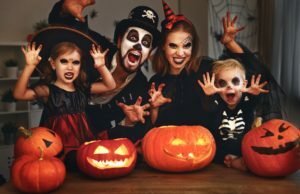 To keep your family’s smiles healthy without compromising the excitement of the evening, there are some important oral health tips to keep in mind. 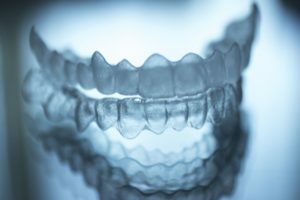 I Used to Wear Braces – Do I Still Qualify for Invisalign Treatment? 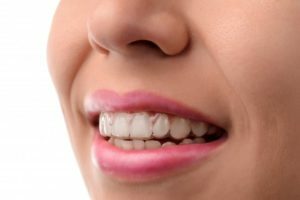 If you have smile flaws, and you want to explore the possibility of having your bite corrected with Invisalign, then you may be wondering, “What if I’ve had braces or other dental work done in the past?” Your cosmetic dentist says that doesn’t automatically make you ineligible for treatment. Read on to learn how the Invisalign process works and to get an answer to your question! 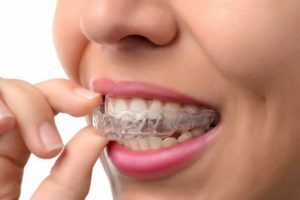 Comments Off on I Used to Wear Braces – Do I Still Qualify for Invisalign Treatment? Anyone who’s had a friend or family member wear traditional braces knows how hard managing them can be. Apart from their unsightly appearance, they’re difficult to clean, food gets stuck in the constantly, and even when they come off it’s amazing how many tooth areas didn’t get the attention they needed. 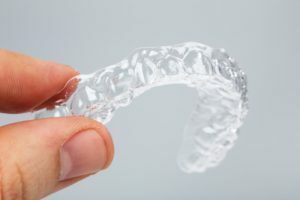 For these reasons, many people choose Invisalign instead. While treatment is generally easier, it’s still important to know the right steps for making the trays last. Follow these steps and know one will be the wiser. With the growth of the internet and social media, there is a do-it-yourself (DIY) video or blog on just about anything these days. This free flow of information helps people unlock the mouse on their computer and learn how to season a favorite dish just right, but there are some things that are dangerous to DYI. One of them is to attempt to make your own set of orthodontic braces. As you read on, you’ll learn why it’s important to leave this to the professionals. We live in an age when technology affects every aspect of our existence, from the way we order our coffee to how we stay in touch with loved ones in distance places. 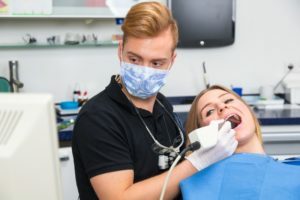 Dentistry is no exception to the technological takeover; thanks to advances like digital impressions, treating a variety of oral health issues has become easier for dentists and patients alike. Let’s take a moment to talk about how one invention, the iTero scanner, is changing the Invisalign landscape.